Denver is a city we’ve visited quite often in recent years for nieces’ and a nephew’s graduations, first from high school and more recently from college. Maddie’s is the type of local place there just aren’t enough of these days. Suburban Denver, where we tend to spend most of our time, has the usual assortment of national chain restaurants, which means few low-salt, low-fat, low-sugar offerings. Eating there is always a challenge for me. So I was thrilled on a recent trip when a niece promised to take us to a unique local place in Denver itself for breakfast one day. 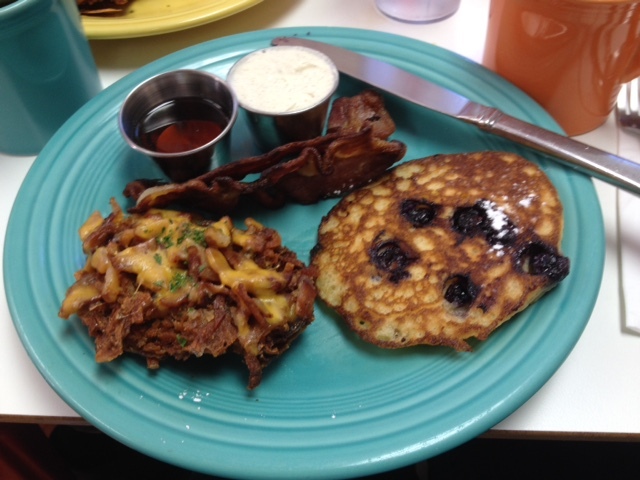 Maddie’s truly is a Denver gem, if our experience there is any indication The tiny place is known for its blueberry pancakes and has some fun-looking potato pancakes as well. I avoid all that because of worries about how much salt is in them. So instead, I ordered a frittata, basically an omelet, with tomatoes, basil and a hint of mint. Maddie’s also was able to make it with egg whites, another must on my diet. Fruit was available as a side, and I also had whole wheat toast, eating only one slice again because of salt concerns since most bread is high in salt. 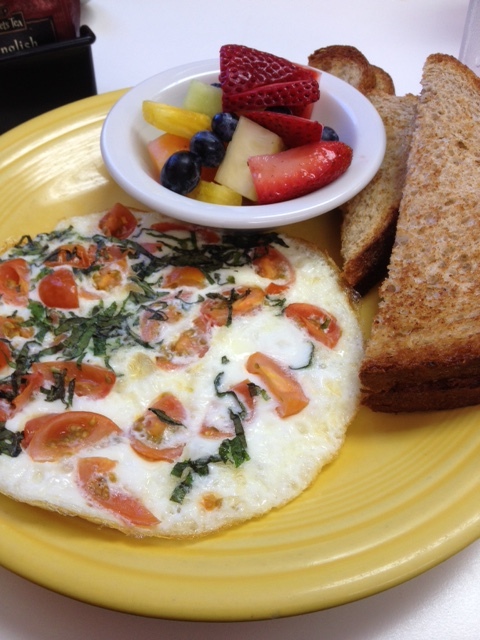 My frittata with fruit and whole wheat toast. Maddie’s potato pancake, left and a mini-blueberry one, right. I enjoyed my eggs, the mint was a nice touch and I was able to get it without the feta cheese it normally comes with, another must to keep my salt and fat intake down. 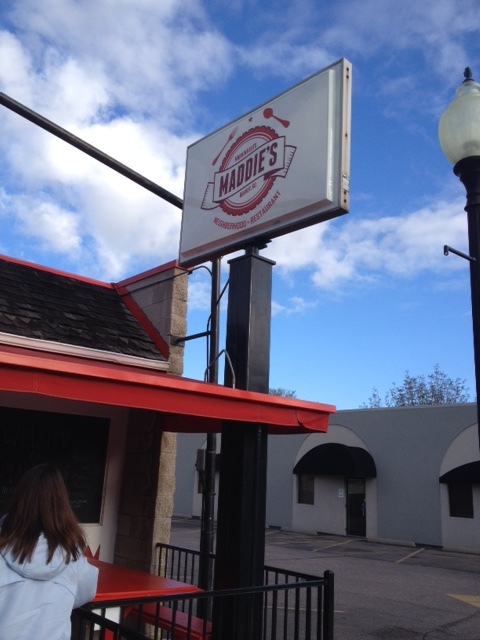 Maddie’s is a fun, local spot, the kind there just aren’t enough of anymore. If you travel to Denver, or live there, give it a try and let me know what you think of it.